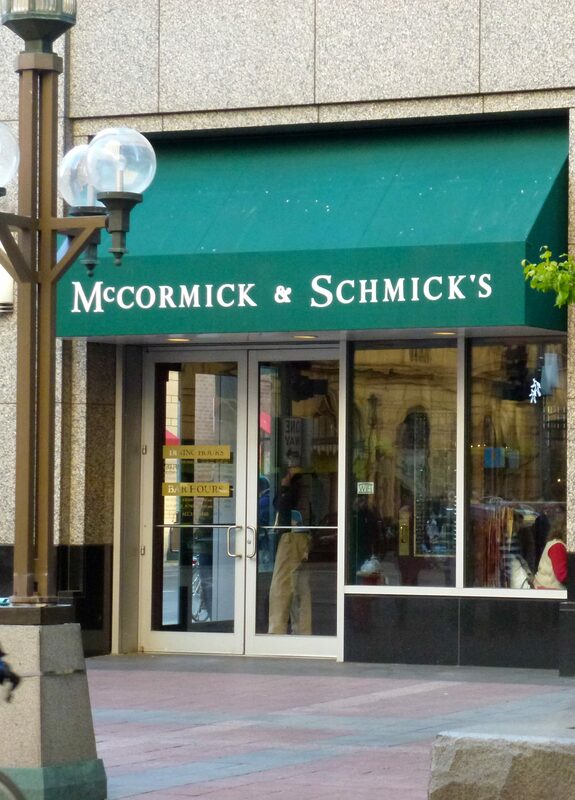 On a recent trip to Minneapolis to see the Minnesota Orchestra, we had dinner at McCormick & Schmicks. 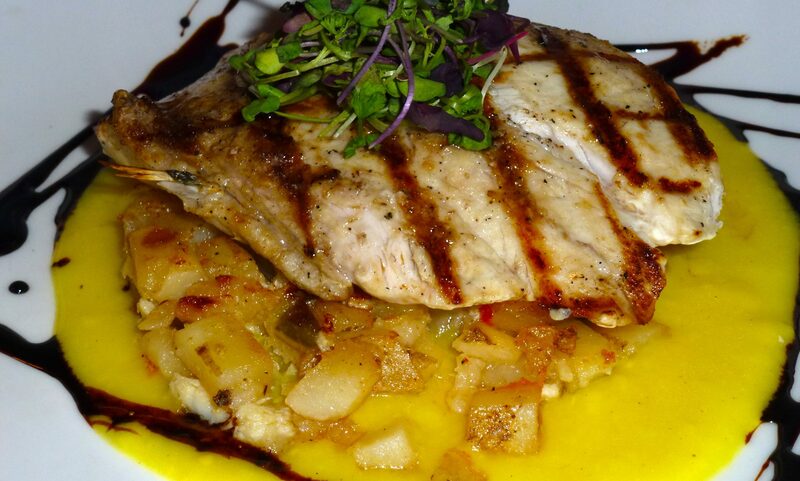 The restaurant is an easy walk from the Orchestra Hall, we got seated immediately and the food was good. 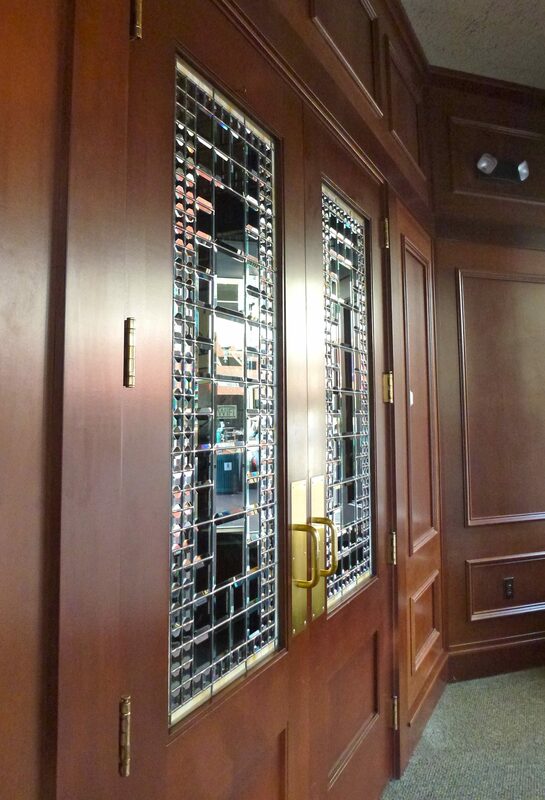 When you first enter the restaurant, the doors you enter look quite impressive with the leaded glass. You might think that you need to dress up but lots of people were in jeans. It is a bit noisy though. I’m not sure if it’s because the ceilings are high and the noise bounces back to the floor but if you’re looking for a quiet romantic evening this probably isn’t the place to go to. Although — they do have rooms that close with curtains so perhaps those rooms would be more intimate. I decided to try the Salmon over Pasta that came with a Spinach & Vegetable Orzo and Sundried Tomato Pesto. It was okay. The orzo was greasy and the salmon didn’t taste any better than the one I had made at home that week. It wasn’t bad but I guess my expectation was that it should taste better than what I make at home. Is that an unrealistic expectation? Overall, the dinner was good and its a good place to eat before heading to a concert.